What if improving your health was as simple as use this, not that? Or as simple as grabbing a (better) product and using it every day? We want to give you some great tips on how you can not only go green, recycle and reuse but also how to support your health while doing so. It’s super simple! Win an all expense paid trip! One of our favorite companies, GROworkspace, is hosting a contest and the grand prize is an all expense paid trip to Young Living’s 2019 Grand Convention. Convention is an experience like no other. 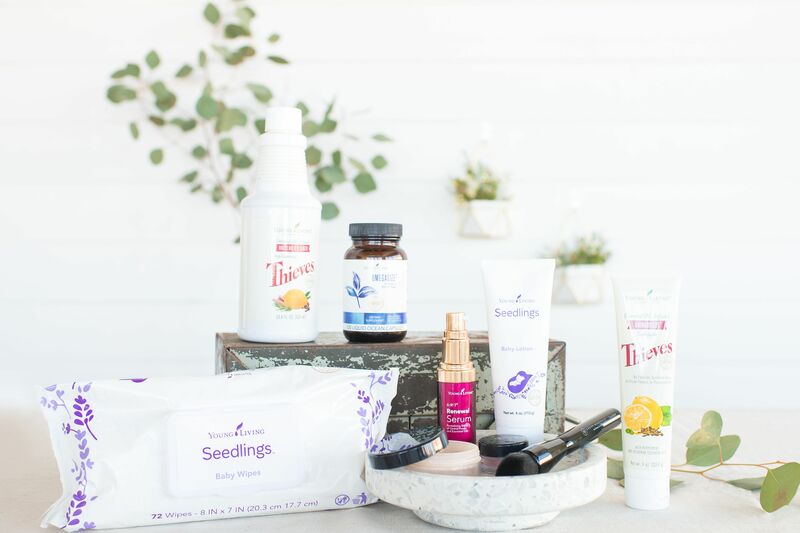 A chance to immerse yourself in the oily world, try new products, and experience a Young Living farm firsthand! The Contest starts March 1st, 2019! Find out more HERE. Lavender has never been easier to take on the go, share with friends and family, and use wherever you are! 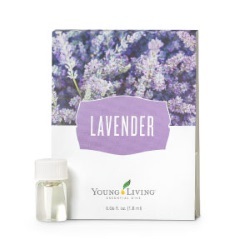 You can order these Lavender samples and info cards as singles, 10-packs, or 100-packs by clicking on the Essential Specials section of your Quick Order cart. YL Beauty School ~ We’re sayin’ howdy to Houston! Whether you are a YL Biz Builder or someone passionate about skin care wanting to learn about and experience YL beauty products firsthand, attend Beauty School May 17-18 in Houston! Beauty School sells out quickly; secure your spot today! As health and wellness are on the rise, you will see many more companies put products on the shelf that appear to be safe and read “all natural,” but are they really all that safe? In this class, we will break down some of the misleading information out there and give you alternatives you can feel confident using at an affordable price! We will have a special giveaway for one lucky person who attends this class LIVE. Don’t forget to invite your friends and family to this event. The more the merrier. This month we have 3 big questions for you that could literally change your life and someone else’s. 2) What if you could help a friend use their own entire Premium Starter Kit without knowing ANYTHING about oils beyond the one to two ways you use them? Now you can! We are hosting a You Have Your Kit . . . Now What? class on March 25th @ 7 PM (EST) and you can invite anyone you want! 3) What if you could help a friend start their own Young Living business without knowing ANYTHING about this business yourself? Now you can! GROworkspace is hosting a GRO like a BOSS Business Bootcamp that will guide a brand new member through starting their own Young Living business. Bootcamp starts on Monday the 25th and everyone is invited! Click HERE for more information on how to participate. We will be having our monthly class in our home on Thursday, March 28th @ 7 PM. We will be sending out details a little later in the month to our locals. This month we want to focus on just how easy it can be to take those Small Steps that will equal BIG Changes!! It really can be as simple as Use This, Not That! Have you ever heard of Bioaccumulation?? Here is a quick little science lesson, if you will. Bioaccumulation is “when a harmful substance gets absorbed by an organism (your body) at a higher rate than it can be excreted.” When we are constantly exposing our bodies to the harmful chemicals found in our everyday use products these are accumulating at a faster rate than our bodies can get rid of them. We can oftentimes be exposed to up to 300 different chemicals a day, and most of us don’t even realize it! How can your body thrive when it is exposed to so many toxins? I don’t know about you, but we LOVE making my own roller blends!! Did you know that you can reuse your empty 5 ml and 15 ml oil bottles to create your own roll-ons and custom blends? In your Virtual Office, you can purchase a 10 pk of AromaGlide Roller Fitments (Item #4578) that you can use to replace the plastic orifice reducer in your oil bottles once they are empty. Soak your bottles in warm water with a few drops of Lemon essential oil for 10 minutes. 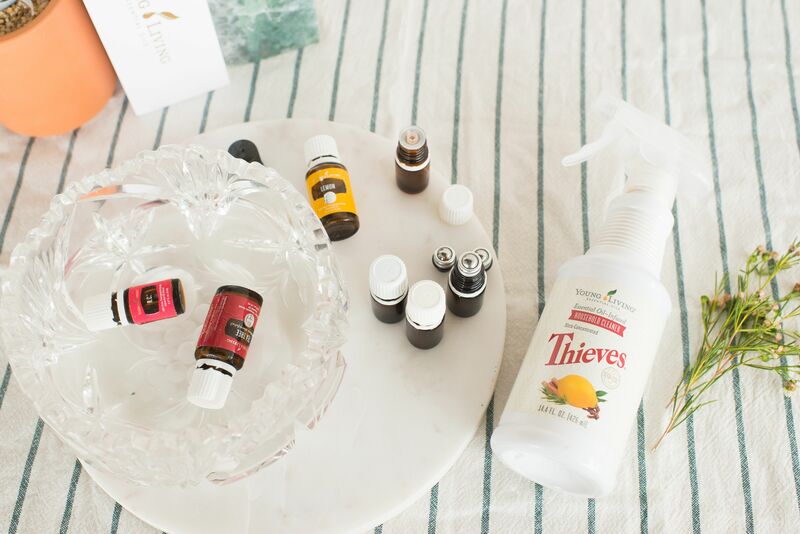 Peel off the label and replace it with one of your own, add your essential oils and top off with your favorite carrier oil, pop on the roller top and you are good to go! You can also reuse your empty Thieves Household Cleaner bottles! Yep . . . most standard spray tops will fit right on your empty Thieves cleaner bottle. 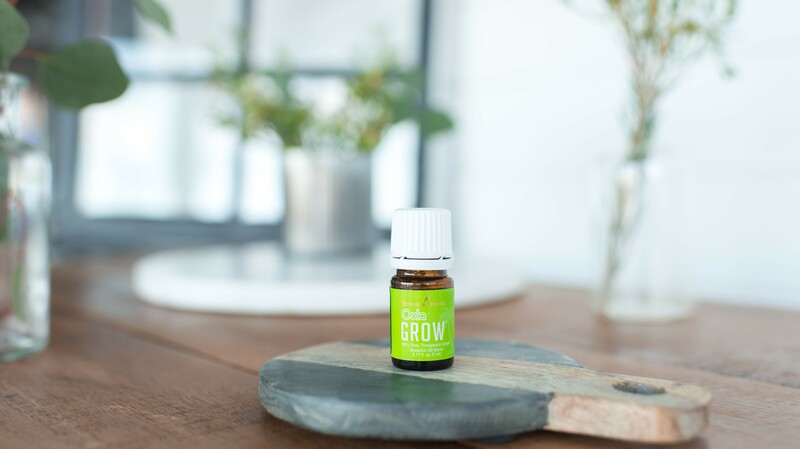 Oola®** Grow™ essential oil blend gives you courage to focus on the task at hand and helps you move toward positive advancement and progression in many aspects in your life. Perfect to diffuse as you get ready in the morning or in your office. Add 4-6 drops of oil to your diffuser and enjoy the scent of 23 different oils that promote feelings of happiness, empowerment, and acceptance. PRO TIP: If you love Oola Grow, check out the Infused 7 kit, they pair perfectly together. This kit contains oils specifically focused on helping you find balance in the 7 key areas of life: Fitness, Finance, Family, Field, Faith, Friends, and Fun. For more info on Oola and targeting what areas you may need to work on first, head over to www.oolalife.com to take a free life balance test. Spring is in the air with Thieves! When your order hits one of these PV levels you will receive the corresponding products for FREE! Look at everything you get for free when you hit 300 PV! A safe, all-purpose cleaner that can literally clean everything. Use it on counters, toilets, mirrors, windows, floors, toys, clothes. When I say everything, I mean everything! How cute are those towels going to be hanging around? Mix Kunzea with Purification oil in your diffuser to purify the air. Apply this oil to your chest for a breath of fresh air. Thieves® Foaming Hand Soap, 8 fl. oz. This is the safest option to teach your little ones how to adopt healthy hand washing habits. Everyone loves the spicy gingerbread scent of Thieves Foaming Hand Soap. Thieves® Fruit & Veggie Soak, 16 fl. oz. Use Thieves Fruit & Veggie Soak to safely clean your fruits and veggies without leaving behind any cleaner residue or taste. Fill a small spray bottle and take it with you wherever you go! Thieves® Dish Soap, 12 fl. oz. Wash your dishes with an uncompromising kind of clean that leaves your hands and dishes free of chemicals and residue. Add a couple of drops to water and clean your jewelry for a quick shine! Refresh and revitalize musty carpets by adding 5 drops of Thieves to a cup of baking soda. Combine and let sit overnight until the oil is absorbed. Sprinkle over carpets and vacuum thoroughly for a room you won’t want to leave. Diffuse in your living room to fill your home with a rich, invigorating aroma of cinnamon. Infuse any cake or muffin recipe with Orange Vitality! 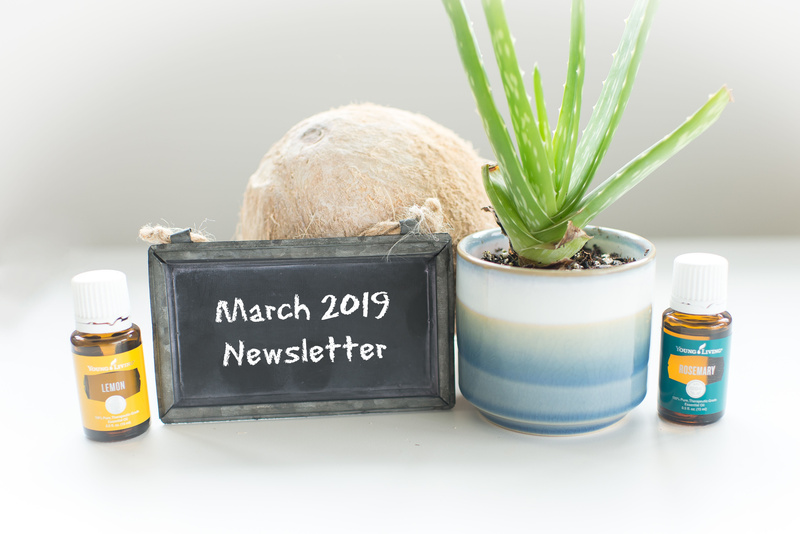 *Receive these two oils when your 190+ PV order is placed through the Essential Rewards program, which is the best way to save money and support your health. If you need more details on this, let me know! Help 5 is a points system. When you earn 5 points you qualify for a FREE gift from YL. This month it is a YL-branded portable phone charger! There are many ways to earn points. One simple way to earn the 5 points is to help 2 of your friends order their Premium Starter Kit on the Essential Rewards program and help one existing member join ER for the first time! Personally enroll a new member with a Premium Starter Kit. * Reactivated member must be inactive for 24 months to qualify for point reward. ** Reenrolled member must be inactive for 6 months to qualify for point reward.